I met three men the other day. Heading to my favorite coffee shop, a man suddenly rushed up to me. "Whence Come you? ", He said to me. He was staring at me pretty hard and I was a little caught off guard. Somewhere deep inside, the words he was using resonated with me, and I realized the man was a freemason. It took me another moment to remember that I was wearing my Masonic ring. He must have seen it and wanted to engage me. "That's all well and good," he said, "but that's not what I asked you." I paid for my coffee to the woman whose attention we had now attracted. Then I introduced myself to the man, offering my right hand, I told him my name. I told him the name of my lodge, and my jurisdiction. He shook my hand slowly, but did not offer his name. "What is this? ", he asked. I withdrew my hand. I realized he wanted to get into testing my knowledge as a Mason. But we were in a very public place, and I didn't want to do it. Plus, quite frankly, I didn't remember a lot. I remembered to carry my dues card whenever I wear my ring, and that was pretty much it. I had disappointed the guy, and he had made me feel pretty small. I went on with my day. Later on, I stopped in at the grocery store. I happened to notice the man ahead of me in the checkout line had a Masonic hat on. Perhaps remembering the encounter earlier in the day, and wondering how another would have handled it, I got his attention. "Excuse me. Whence com you?" I asked. He gave me a blank stare for several seconds, and then I saw realization dawn on him as it had on me earlier in the day. He also saw my ring. He extended his right hand and introduced himself as a Mason. 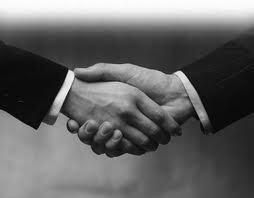 Unlike the guy I had met earlier, I shook his hand and introduced myself. After paying for his groceries himself, he waited until I had paid for mine. He walked outside with me. The Brother told me what lodge he was from, and asked me a bunch of questions as well. I had bitten off more than I could chew, as he discussed a lot of things I didn't remember, recognize, or understand honestly. He knew a lot. He was friendly enough, and invited me to visit his lodge. But I felt that I had failed to measure up for a second time. It was the second time I felt frustrated in one day. Before the end of my day, I took some old clothes to the Salvation Army. The man who received them from me was wearing a Masonic ring. I chose not to acknowledge this as he went about the business of taking my donation. "I see you are a Mason." he said, "I am too." He held out his hand, back side up to show me his ring. He had seen mine. Then he turned it over in the universal gesture of friendship. I took it and shook it. I told him I wasn't that knowledgeable and couldn't answer a lot of questions, and that I didn't want to try. I wasn't feeling very brotherly. He held my hand for a moment longer and just smiled at me. He told me that he had no questions for me. He wasn't very active in his lodge. They spent a lot of time on Chicken dinners, raffle sales, and banquet nights. He wasn't very interested in them. There were some in his lodge who spent a lot of time bandying about "big ideas", world philosophy, and deep spiritual thinking. He didn't have much patience for them either. He talked to me about how he liked to volunteer here at the Salvation Army, and how, when he wasn't here, he spent time at his local food bank. He liked to work with the homeless, with children, and with disabled veterans once a month. He couldn't interest the members of his lodge in joining him. I asked him how he had found all of these opportunities to volunteer and serve? "I suppose," he said, "I was just open to them, and they just arrived." He invited me to join him anytime, and I told him I would like that. I was left with the feeling I had learned more about Freemasonry in that encounter than I had the rest of the day. A few days later, one of the members of my own lodge asked me if I had met any masons recently. "Yes", I said thoughtfully. "One."